Crazy week for me so far. How bout you? 5 years ago exactly yesterday, I was at a conference known as Tech Day in NYC which is the largest startup event in the US. 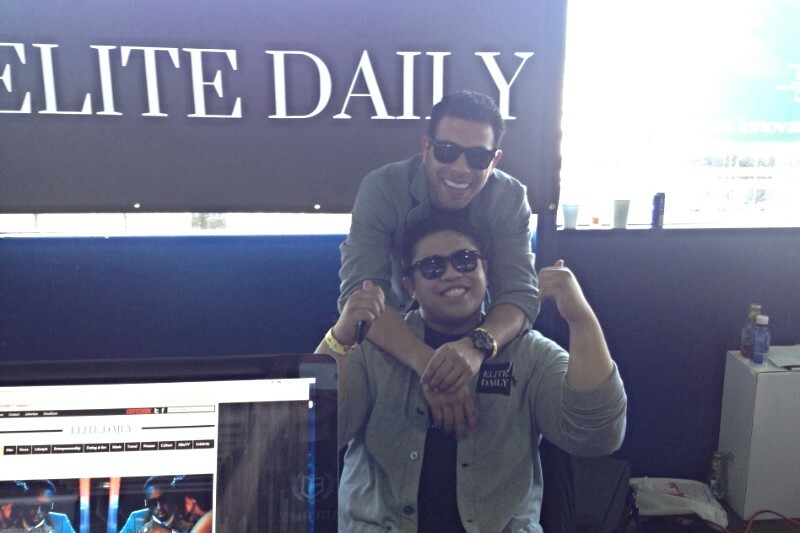 I’ll never forget setting up the booth for our startup Elite Daily with my cofounder and badass COO, JSP and pitching our faces off to every single person that walked by. 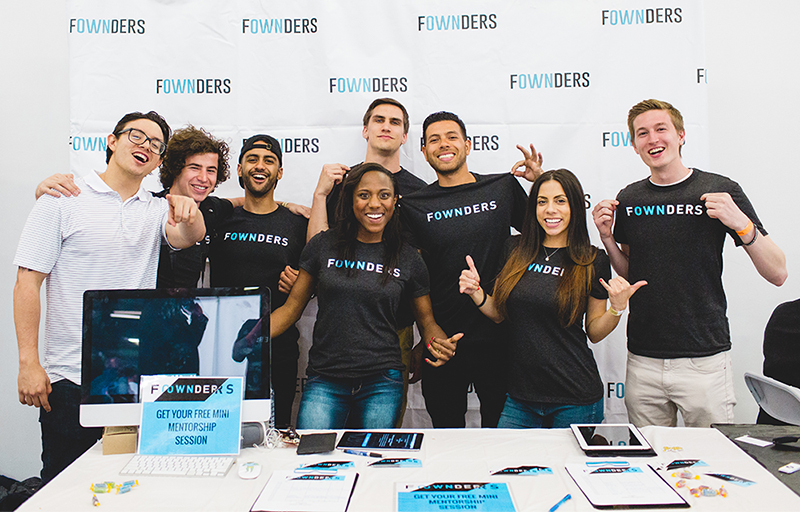 Going back to Tech Day this year was surreal to me as this time around our booth was for my new startup Fownders. It was deja vu for me. The rush of speaking to people about the vision non stop is one of the most exciting things to do. You honestly never know who you are going to meet. 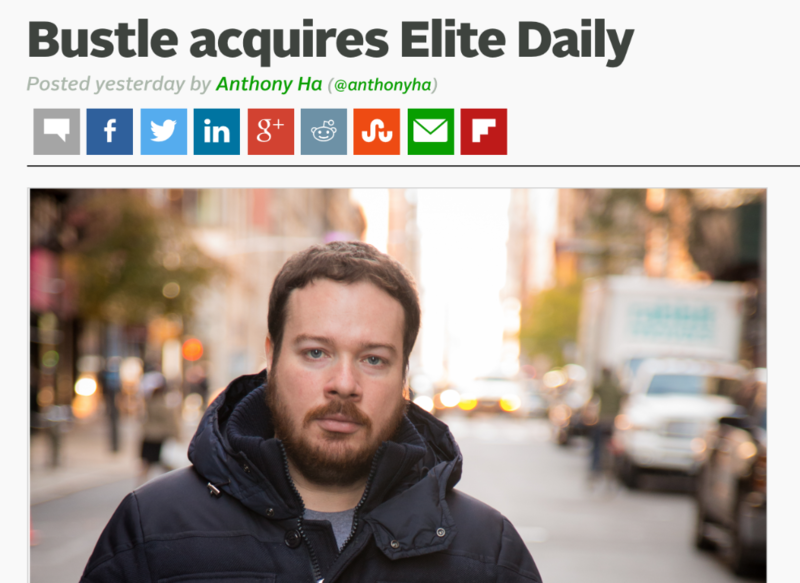 This time around was extra special to me as Tech Crunch announced that Elite Daily got acquired for the second time by a company named Bustle. Being at Tech Day with the initial day 1 Fownders squad really put things into perspective for me again. At the end of the day, your success is directly correlated to the work ethic and consistency that you and your team has. If you are not able to build a culture that breeds execution than you will fail. Period. You need to be willing to roll up your sleeves and no matter what do whatever it takes to get the job done. Especially when you are bootstrapped and just at the beginning phases of your business. If you are a leader on your team than you best believe you need to be the the one at events like Tech Day and be the most effective person pitching. You need to do all of the heavy lifting and dirty work that no one wants to do because you are the one that needs to LEAD BY EXAMPLE. Always remember, you are not entitled to sh*t! 1) I know my work is not done. 2) Money is not what drives me. Impact does. Therefore, I am on a mission to impact 1 billion lives. I can only hope that I will be alive when this happens but regardless my mission to is to build a lasting legacy through my company Fownders to be the vessel for this goal to take place. Before anything, you have to really f*cking want it. You have to have that BURNING desire inside that is willing to do whatever it takes. You have to be the leader. This means get your hands dirty. Entrepreneurship is about the grit, the grind, the sacrifice… not the glory everyone thinks it is. That comes later… when you EARN IT. You also have to OWN It. You may have realized I have been mentioning this a lot. Well this is Fownders mantra. If you want to be successful than you need to drop the ego and own every mistake. Lets talk about this for a minute because this could be one of the most important lessons you learn from me as your mentor. The reason being is because I believe we are seeing an epidemic as a generation of ego. The main reason is because of social media and how we have been brainwashed to spend countless hours every single day watching other people live their lives and create a perception of how you should be living yours. The sooner you stop paying attention to everyone else and focus on yourself is the day you start your journey being free. The key is to STAY HUMBLE. Understand you will never know it all and the sooner you position yourself to become a better listener and learner, the quicker you will become a better leader for yourself and your business. Lose the sense of entitlement, selfishness, overconfidence (confidence is important but remember that confidence should be earned), superiority, or being complacent. Let me make this clear, one of the top reasons why I have seen people fail is because of their ego. In my opinion, it is the most toxic, cancerous liabilities. Ego will cause you instead of learning from your mistakes, to blame other people. It enhances problems rather then solutions. It brings on resentment instead of humility. Moral of the story is, find something that will challenge you and be the type of leader that leaves your ego at the door. We all have ego. The point is to understand it and never let it get to your head. Be able to get knocked down because your confident enough to get back up and learn from your mistakes. That’s the type of leader that will earn respect and have the most impact on the team. Remember, there is ALWAYS something to LEARN. I love it when I hear back from you about my newsletter and how it’s impacting you so please reply. Let me know your thoughts. Even if they are quick thoughts, engage because it motivates me to know you are learning and answer your questions. I got a ton of responses about my college dropout story so I will be making a video on it and send out a newsletter. Everyone loved my $20,000,000 lost in a day story. If you missed that email and new to the list just hit reply and ask for it as it was a good one this past weekend. BTW, today was epic. 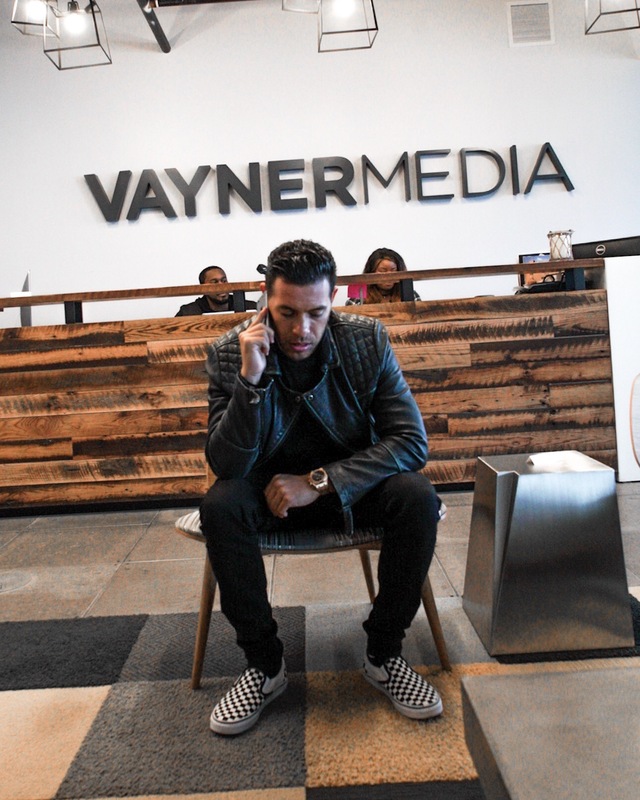 Just left VaynerMedia and have some cool things to announce soon so stay tuned. Last, If you haven’t seen our latest episode this past weekend of Leaders Create Leaders than make sure to check it out. Our next episode will air this Saturday and is with a raw emerging artist known as Timmy Sneaks. We end up painting a Lambo which was a sick! 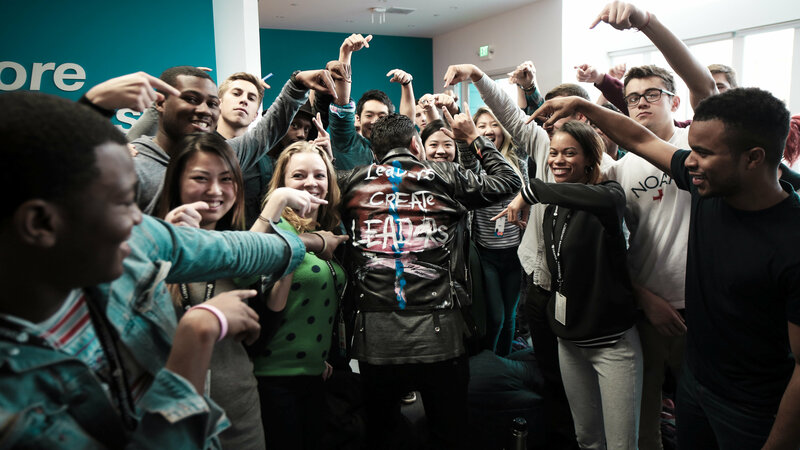 What was even cooler is Timmy’s come up story that he has never made public until now on Leaders Create Leaders. Make sure to be ready for the episode this Saturday at 2PM on my Youtube Channel. Kill it the rest of this week! It’s mid-week so build momentum and EXECUTE.